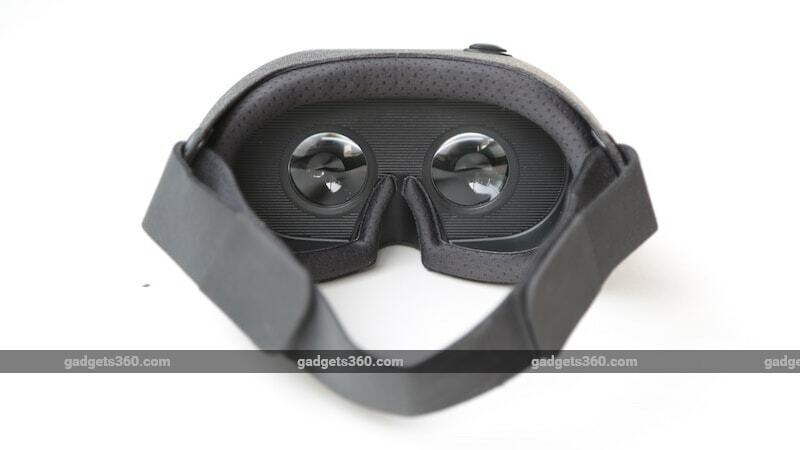 At first glance, the Xiaomi Mi VR Play 2 looks like a Google Daydream View headset – it’s a similarly sleek shell covered in fabric, with only a horizontal band across the back to secure it to your head. However, that’s where the similarities end, as the Xiaomi headset is a basic Google Cardboard compatible headset without any additional bells and whistles such as a controller. About a year ago, Xiaomi launched its first VR headset with a zipper design to secure the phone within, but it was somewhat bulky compared to the new and updated version it launched in China earlier this year. Unlike Daydream, or the Samsung Galaxy Gear VR, these headsets don’t have a separate VR app launcher and instead work only with apps that support Cardboard. Purely in terms of functionality then, the Mi VR Play 2 offers nothing more than a headset made from actual cardboard – these are often distributed free – or a clip-on device such as the Homido Mini. So does the Xiaomi Mi VR Play 2 measure up to what else is in the market? We’ve tried out a lot of different VR headsets by this point, including a small army of Google Cardboard-based mobile VR models. The ones actually made of cardboard are often uncomfortable, but very light, while the larger, more structured plastic ones quickly start feeling too heavy and can be uncomfortable over time. The Xiaomi Mi VR Play 2 does a great job of keeping the weight down, and its fabric-covered body looks very good. In fact, it’s one of the best looking headsets we’ve used. The fabric also feels nice to the touch – it isn’t exactly soft, but it feels much more pleasant to hold than the typical plastic alternatives. There’s a simple flap on the front to hold your phone in place this time, rather than the more complicated zipper from last year’s model. A simple groove marked on the side shows you how to align the phone for the viewer. The Mi VR Play 2 is also relatively light, weighing in at 183g, which helped us wear the headset for longer periods without feeling the same amount of fatigue. The usual size considerations apply; you’ll need a phone with a screen that measures between 4.7 inches and 5.7 inches in size to get the optimal display effect. Xiaomi says that this new headset has a 93-degree FoV (field of view), which falls short of the experience you get from some other competitors, but should still be enough to leave you feeling immersed. The open slot design means that much bigger phones can actually be inserted – we even tried the headset with a Xiaomi Mi Max 2, which has a 6.44-inch display, and it did work, though things looked a little distorted. Our OnePlus 5 fitted comfortably in the slot. There is a large plastic button on the top right, within easy reach, and you need to use this to interact with the apps you’re running. There’s a single horizontal strap against the back of your head that holds the headset in place. The lack of a second strap over your head means that the weight is balanced a little forward, which can put a little pressure on your nose. However, light leakage is minimal and the padding is generous so you shouldn’t find it too uncomfortable. The simple design of the Xiaomi Mi VR Play 2 means that it’s easy to put your phone in or remove it, without any fasteners, zippers, or clips to deal with. The lenses themselves aren’t adjustable, but the device is roomy enough to use with glasses, so you shouldn’t have any difficulty in getting a clear picture. With a phone in place, the headset gets a little heavy, and you’ll want to adjust the band a few times, and move it up and down the back of your head until you find the right balance. A top strap would have been much appreciated to better distribute the weight. A little light gets in from the sides, but not much, and there’s practically none from below. The headset also features little cutouts that are supposed to help keep it from getting hot and fogged up, though that was a problem we did not face in our air-conditioned room, as Delhi is yet to cool down after the summer. Using the Mi VR Play 2 is pretty straightforward – run the Cardboard app to get a demo of what you can do, watch VR videos on YouTube, or install any of the Cardboard-compatible apps you can find curated on Google Play. The actual VR experience is what you should expect from Google Cardboard. You can look around in all directions, with a clear and crisp 3D effect. It’s great for watching videos and for some VR experiences, but fairly limited beyond that. The button on the top of the headset is easy to find and press, which is definitely a plus with the Mi VR Play 2 as some Cardboard compatible headsets we’ve tried do badly on that front. For games that require controller support, we used a separate Bluetooth controller, which worked fine, but given the price, this is something Xiaomi could have bundled with the headset. The clarity and performance of the VR otherwise depend on the phone you’re using – the OnePlus 5 was able to handle things well, of course, and as long as you’re not using a very low budget phone, it will be fine. Even with an entry level phone, 360-degree videos on YouTube work fine as long as you have a fast Internet connection, though some games may lag on older devices. The Xiaomi Mi VR Play 2 has an MRP of Rs. 1,499, putting it at the upper end of Cardboard headsets without hand-held controllers. You’re limited to the single button on top, so you’ll probably need to buy a Bluetooth controller to get the most out of many VR apps. The Xiaomi Mi VR Play 2 looks good and is comfortable too, but it’s also fairly expensive. The company’s previous headset is currently listed at Rs. 999 on the Mi website, but isn’t available right now. You’ll get similar headsets (in terms of functionality) at prices starting from Rs. 200 and going up to around Rs. 1,000. Therefore a lot boils down to the design of the headset. The one quibble we have on that front is the lack of a top strap to better balance weight and reduce pressure on the nose. While the aesthetics might appeal to you, it’s worth considering how comfortable the Mi VR Play will be to use for longer stretches. Whether the looks and comfortable padding make up for that is a personal call. If you want to look at other options, you could consider the AuraVR Go, which doesn’t look as good, but has a top strap, and is less expensive too.